Being so close to the Great Lakes, Michigan receives dozens of inches of rain/snowfall annually. With so much water, basement water damage is becoming a huge concern with homeowners in the Sterling Heights area. 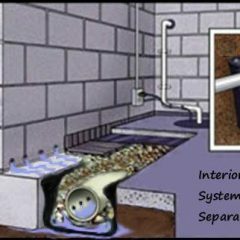 We understand the frustration that comes with improper drainage or repairs. With 100+ years of dedicated service, StayDry Waterproofing of Sterling Heights is ranked #1 in the basement waterproofing industry. Our service professionals are trained and qualified in basement repair. 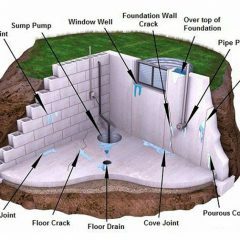 Our services include: interior and exterior basement waterproofing, crack injection repair, foundation and crawl space repair, mold control and so many other services. Invest in your home and give yourself the peace of mind that can only come from preparation. Call us at 1-800-STAY-DRY for your obligation-free consultation today! You’ll be glad you did! Given the town’s close proximity to both Lake St. Clair and Lake Erie, Sterling Heights, Michigan is prone to the lake effect and the excessive precipitation it presents. Regardless, Sterling Heights receives plenty of precipitation each year. In fact, the city averages nearly 130 days of precipitation each year, with approximately 30 inches of rain and 37 inches of snow. With this much precipitation every year, homeowners in Sterling Heights should consider basement waterproofing. With excessive amounts of water comes the risk of flooding and water damage. A water damaged home can have disastrous effects, but fortunately, the heroes at StayDry Waterproofing can help protect your home from damage. Situated between two large lakes, Sterling Heights experiences plenty of rain and snowfall every year. Wet and snow-filled winters only make way for humid summers, which also see a decent amount of rain. This leaves your Sterling Heights home at risk for flooding, and flooding can present a great deal of damage, increasing homeowners’ need to protect their homes from damage. The potential damage from flooding isn’t a matter to take lightly, either. Even if your basement doesn’t contain valuable belongings, a flood brings excessive moisture into your home, which makes your basement a breeding ground for mold. If you do keep belongings in your basement, they’ll become prone to damage in the event of a flood. Additionally, water damage can crack foundation walls and compromise the structural integrity of your home. 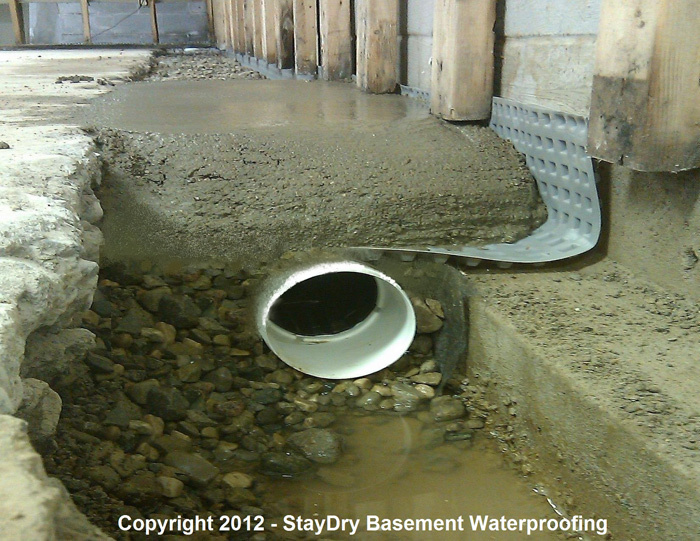 Keep your home protected from floods and consider StayDry’s basement waterproofing services. Noticed some stair step and vertical cracks in the exterior brick of my house. Would like to get an estimate on repairs to the foundation. Along the base of the exterior of the home waterproofing. Mild water leaking down the back wall of our basement when it rains hard. Foundation settling is normal, and Sterling Heights residents are familiar with Michigan’s moisture. The Great Lake State has more annual inches of precipitation than nearly every other state. 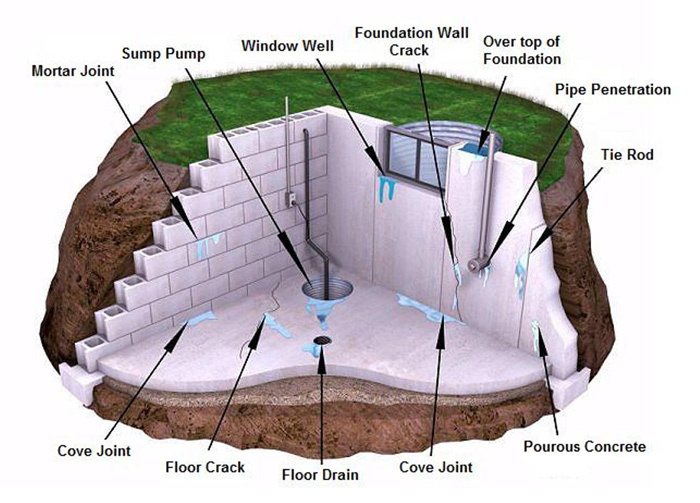 Foundation settling combined with heavy moisture can lead to flooded basements. Those who live in Sterling Heights and are looking to save money should call StayDry. StayDry is a family-owned business that understands the importance of home safety. 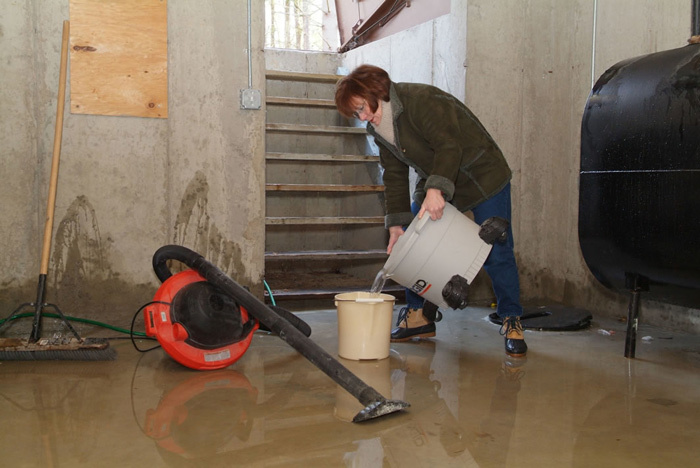 Our trustworthy representatives will give you honest consultations about how you can save money by preventing basement flooding instead of paying for repairs. With over 100 years of combined experience, we use a variety of methods for waterproofing basements. 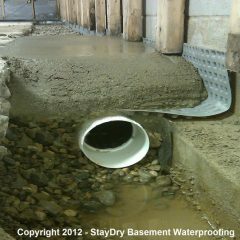 From external waterproofing to sump pumps, French drains, crack repair and crawl space encapsulation, StayDry will keep your home water-free. Due to Michigan’s high water table, homeowners sometimes have to take extra precautions to keep water from entering. Water can enter from cracks and weak spots along the foundation wall. 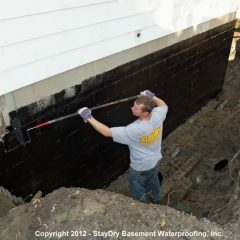 External waterproofing is one of the most efficient ways to ensure that water will not seep into your basement. Our extensive process will give your home a complete exterior sealant along with our premier draining system. First, we dig a trench around the outside of your home and check for cracks and damaged walls. Then, we apply a mastic tar adhesive and sealant around the foundation. After reinforcing the wall with a Flexi-Seal vapor barrier, we add an extra layer of foam board insulation. Sterling Heights residents worried about the high water table can rest assured that external waterproofing will protect their homes from outside moisture. Unlike other waterproofing companies, StayDry’s high-pressure polyurethane crack injection is guaranteed to last a lifetime. 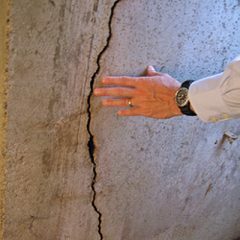 Wall cracks are a common cause of basement flooding. Moisture from outside soil is constantly pushing against the outside walls. 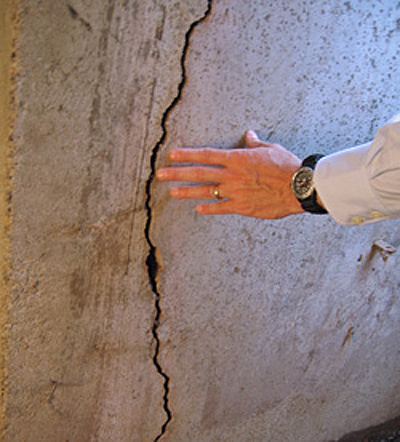 Even small cracks can expand and lead to costly interior damage. Filling each vertical crack with our polyurethane sealant adds a layer of protection to your foundation wall. Sterling Heights residents who have recently moved into a home should call StayDry for an obligation free consultation. Sometimes it’s difficult to identify cracks in the foundation wall. Even small cracks can let enough water in to grow mold or gradually weaken drywall. A StayDry professional will help you find cracks and take the precautions necessary towards making sure your home stays dry. After months of snowmelt and rain, the soil surrounding homes in Sterling Heights becomes soggy with excess moisture. If not properly directed, this moisture can increases the hydrostatic pressure pushing against the walls of your home. 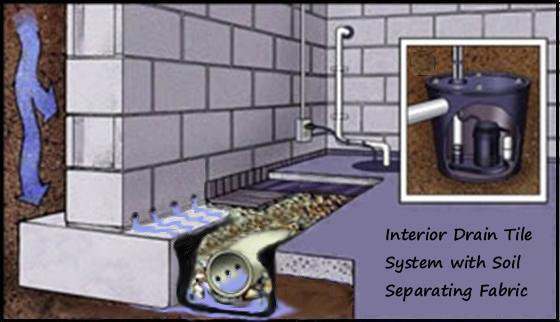 A French drain redirects water into the sump basin so that it can’t press through cracks along basement walls. The French drain has been around for 150 years, and we back our system with a lifetime guarantee. Schedule an appointment today by calling 800-800-7073. Considering the aforementioned climate and proximity to the Great Lakes, Sterling Heights homeowners should be well aware of the effects of water damage. 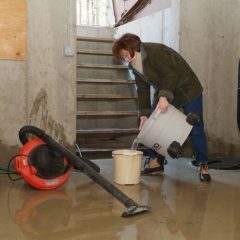 A flooded basement presents a range of issues to your home, from structural damage to mold growth, not the mention the damaged possessions that often accompany a flood. All of these issues can compromise the structural integrity of your home, putting everyone inside in danger. Because it’s always cheaper, and easier, to prevent water damage rather than repair it once it occurs, Sterling Heights homeowners should contact StayDry today. Plus, we back our interior waterproofing services with a lifetime warranty! 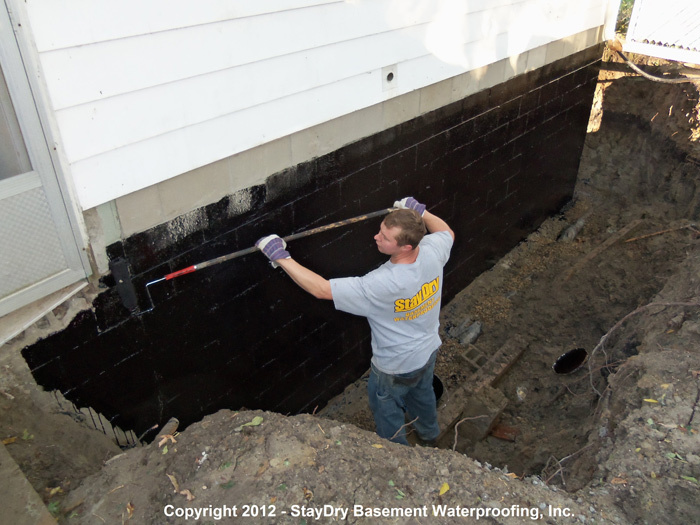 If you’re a homeowner in the Sterling Heights area, you should strongly consider hiring StayDry to waterproof your home. It could save you loads of time and money in the long run, and keep the value of your home from dropping. Give us a call today at 800-800-7073 for a free estimate. You can also contact StayDry here.